"With my art, I continually seek fresh ways to capture the magic of energy through the motion of the human body." ... born and raised in Mexico City where she received her Bachelor’s degree in Graphic Design as well as advanced degrees in Multimedia, Animation, and Abstract Art. 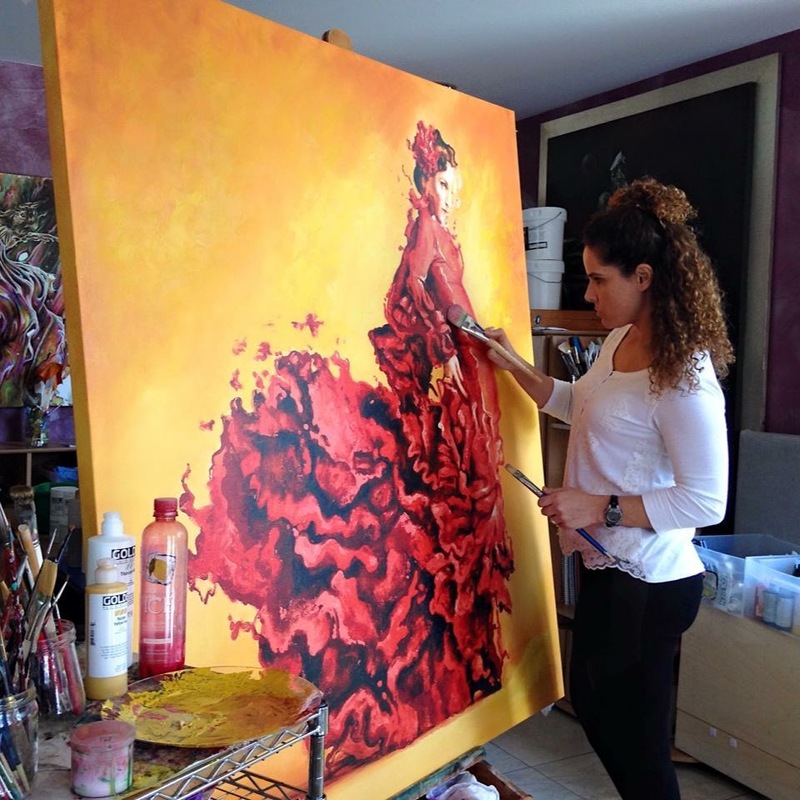 She studied with famed Mexican artist Roberto Cortazar and portraitist Enrique Estrada, who both saw her talent and strongly encouraged her to continue her artistic journey. While keeping art at the forefront of her mind and heart, Karina enjoyed a highly successful corporate career as art director for Mexico City’s top newspaper “Reforma” and at illustrious advertising agency, McCann Erickson. Among the many campaigns she helped create, some of her most memorable were for clients such as Coca-Cola, Revlon and Kimberly Clark. Throughout her professional life, Karina painted and worked tirelessly to develop her unique style. As a lifelong dancer, competitive swimmer and enthusiastic skydiver, she found herself drawn to depicting on canvas the palpable energy of the human body in motion. 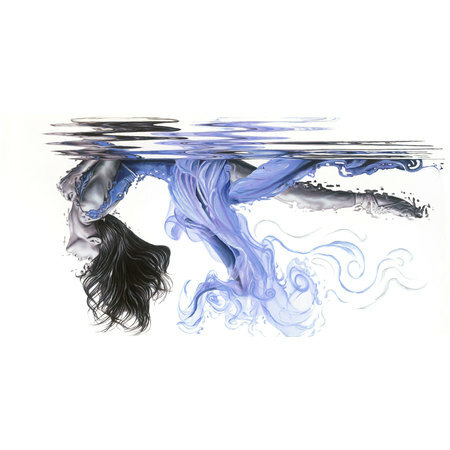 Driven by these fascinations and armed with her talent for figurative painting , Karina found a way to translate her observations and creative imagination into thought-provoking paintings of breathtaking beauty. Since moving to Chicago in 2007 and transitioning to art full time, Karina’s work has received high praise and she is greatly admired throughout the vibrant Chicagoland art world. Among her many accolades, Karina has received numerous Outstanding Achievement and Best In Show awards at distinguished art shows all over Chicagoland and exhibits in galleries throughout the United States. Of Mexican, Armenian and Spanish descent, Karina’s diverse background influences her life in every way, as does her insatiable passion for the creative arts. When she is not painting, Karina relishes spending time with her husband and four children.